LINDENWOLD — A week ago, a hysterical mother called 911 from her apartment, saying her two 7-month daughters had stopped breathing and had turned purple. 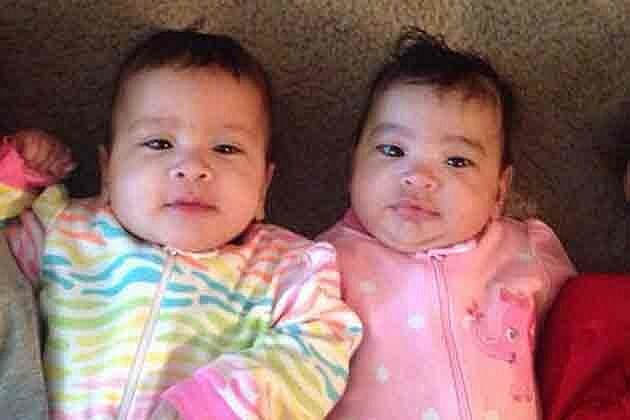 Garrnett found the twins unresponsive on Wednesday morning and during a 911 call told the operator “My twins are like purple, they’re not breathing.” The operator had her perform chest compressions on the infants before police and EMTs arrived less than five minutes later. Jessenia and Juliana Rodriguez-Garnett were pronounced dead at the scene. As emotional as Garnett's sobbing call to 911 was, Kimberlee Moran, director of forensic science at Rutgers-Camden told the Townsquare News Network that anything said on the call is unverified so it's not certain if the infants were turning purple. Police have to respond with open minds and no predetermined causes or theories, Moran said. The Camden County Prosecutor's Office has not released any new information about the incident except to say the investigation is ongoing. Moran said that "three things come together" to determine what happened to the babies: processing the scene (the apartment) and collecting as much contextual evidence as possible; the medical examiner's evaluation of the physical condition of the babies; and police work such as interviewing neighbors and trying to find out background info about the family. "Everything's on the table until you have physical evidence to start ruling things out," Moran said. "Bias is one of the No. 1 enemies of forensic science." When asked if carbon monoxide poisoning could be ruled out in the death of the infants Moran said if the kids were turning purple, it's unlikely. "One of the things that's very indicative (of carbon monoxide poisoning) is a cherry red color, and that just has to do with the chemistry that's going on between the red blood cells and carbon monoxide," Moran said. She said a lot of the physical evidence may be uncovered during the autopsy. The medical examiner will first do an external examination, looking for "defects" such as bruises or signs of strangulation. Then will come an internal examination, looking again for defects and any sign of oxygen deprivation. "Sometimes a bruise might not appear on the skin but once you start looking internally under the skin, you can see where areas of blood vessels had been ruptured and there’s been kind of a pooling of blood under the surface of the skin," Moran said. Determining the manner of death, she said, is strictly the role of the medical examiner. The manners available are: natural causes, accidental, homicide, suicide or undetermined. "Right now, since we're talking about 7-month-old twins, the only manner that can be ruled out is suicide," Moran said. The girls will be laid to rest on Saturday at the Ora L. Wooster Funeral Home in Clementon.